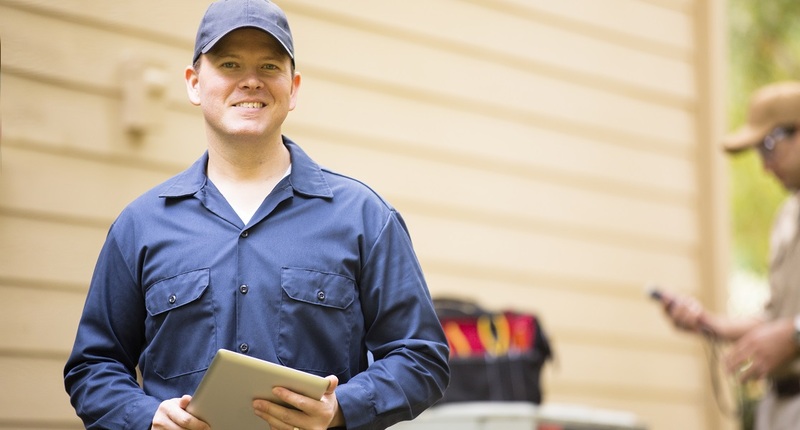 How field service technicians can increase customer satisfaction by providing customers with a voice. Don’t be the field engineer who hits the mute button on your customer. It’s easy to fall into today’s technology trap. The customer reports a symptom, assumes you know the resolution and that you’ll be able to walk right in and fix it. Stop and listen to your customer. Customers want skilled, capable technicians, but your number one priority is customer satisfaction and this will not be heard without active listening. Arm yourself with all of the customer details; the problem reported and information relevant to the product needing service. Then take customer service to the next step. Hear your customer and their perspective. Remember the game of telephone you played as a child? As a message is passed from one person to the next, it changes slightly with each transmission. Once that message reaches the last person in line, it may be very different from the original. The same can happen when a customer reports a problem to the call center. By the time you, the technician, receives that report, slight variations from what the customer reported to what was relayed to you may lead you to a solution that is not appropriate for the actual problem. Even if the customer has directly entered the problem into your system via a portal or other method of communication, it is important to hear your customer. I recently read The Intentional Field Engineer, a book written by a colleague of mine, Bruce Breeden. It is targeted at recruiting new technicians into the field service arena, but it brought up some good basic reminders on service. Even for those of us who have been in the field a long time, it reminds us of the keys to good customer service, and good customer service is about a relationship with the customer. Good relationships require great communication and great communication requires that you listen. As a field technician, when you walk in the door with an understanding of the problem, you shouldn’t assume that you know everything. When you walk through that door at a customer site, set down your toolbox and talk with the customer. It is important that the customer feels confident that their problem has been conveyed and that you understand it. It is just as important for you to give them the opportunity to bring up anything that may have been missed in their initial report. Being an empathic listener gives the customer a voice. It might be uncomfortable. The system being down may be causing significant pain to the customer’s organization, but it is key for you to provide that opportunity for the customer to state their concern. Repeat back the symptoms they stated and empathize with their frustrations or concerns. Don’t be tempted to over-talk, cut them off or brush off their concerns. Allow them to state what the problem is and why it is a problem. Back to the game of telephone. Ensure that what you heard is what your customer actually said. Be empathetic to the customer, repeat back what you heard and repeat the pain points and symptoms that were shared with you. By acknowledging their feelings and restating the problem, you not only ensure that you understand the issue correctly, but you tell the customer that you cared enough to understand the problem. In that restatement of the issue, it assures the customer that you are the right person for the job and that you can resolve the issue. Put the weight of that customer’s problem on your shoulders and carry it across the goal line towards a resolution. The priority is to resolve the customer’s problem and to do so in a timely manner—preferably on the first visit. To do so, you should take note of the problem reported, analyze diagnostics provided by the system’s monitoring and utilize tips and tricks from technical bulletins and product information that’s available to you. You can also prepare for servicing a product by ensuring that you have the right parts for the job in advance. You can do this by looking at the usage patterns derived from data analytics. Leveraging these tools will have a positive impact on resolving the problem. If you stop to listen to your customer’s pain points, repeat them back with and resolve it. By doing so, you will increase your customer’s satisfaction and build customer loyalty. Be an active listener to improve your organization’s level of customer satisfaction. For more information about the right tools to increase first-time fix rates, and how to improve overall customer satisfaction, read the IFS Field Service Management summary: Optimize your field service operation to increase revenue and enhance customer satisfaction.